These tiny bundles of fluff represent hope for a species that hasn’t been seen in the wild in nearly 20 years. Paignton Zoo is home to nine adult birds, four females and five males. 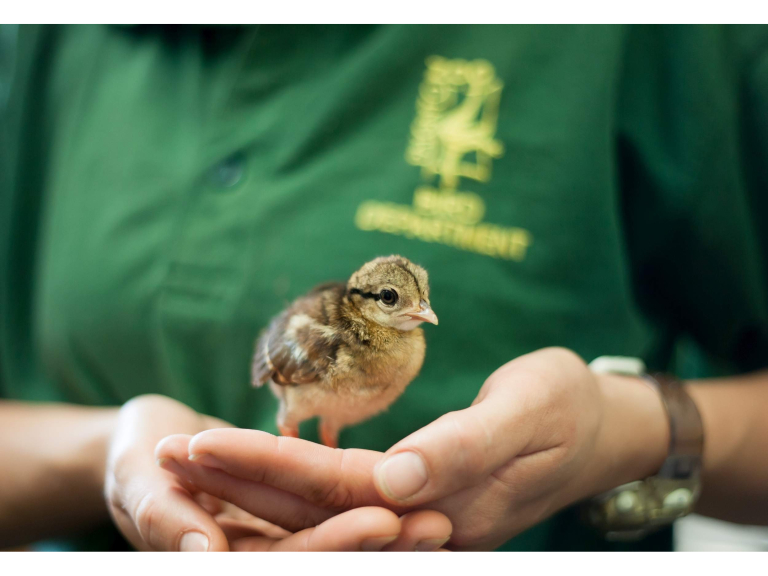 Five chicks have been hatched at the charity zoo previously - four last year and one the year before; this the most productive year so far. Edwards’s pheasant (Lophura edwardsi) is listed as Critically Endangered and recorded as one of the world’s 100 most threatened species. This shy bird with shimmering dark blue feathers has not been seen in the wild since the year 2000. The species has suffered from deforestation, hunting and the use of defoliants during the Vietnam War. Paignton Zoo Environmental Park is a registered charity. For more information go to www.paigntonzoo.org.uk or ring 01803 697500.